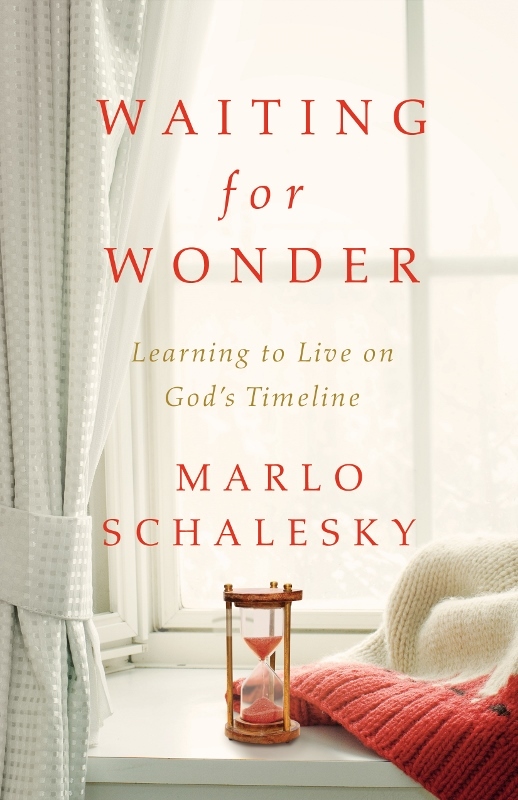 Join author Marlo Schalesky on a unique, contemplative journey to reveal the wonder that is often missed when we find ourselves struggling to wait well in her new book, In Waiting for Wonder: Learning to Live on God’s Timeline (Abingdon Press). Walking through the life of the biblical character Sarah, one who knows what it means to wait, you will discover a glimpse of God’s character that will give you strength to keep hoping and praying for the desires of your heart. 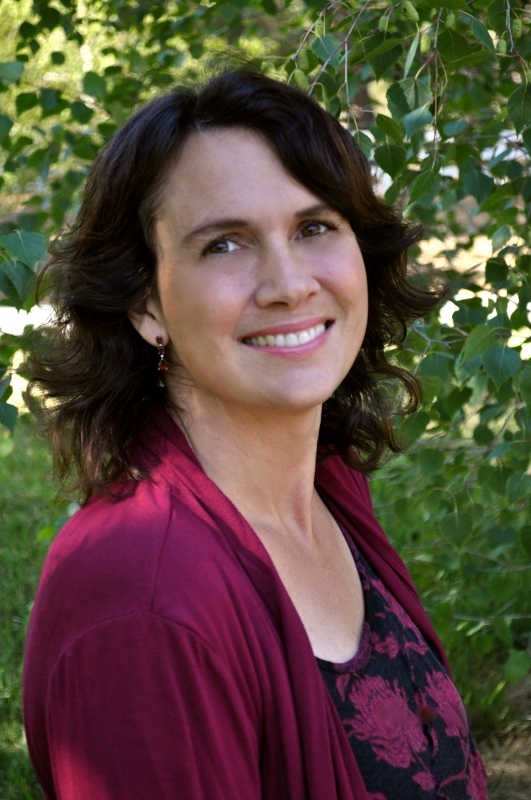 Q: You say walking with Sarah, Abraham’s wife, will help us learn to live on God’s timetable. Why do you think Sarah, given all of her mistakes, should be our guide for waiting well with God? Yes, she did make a lot of mistakes. Don’t we all?! I don’t think any of us are born with the waiting-well gene. Have you ever seen a baby wait patiently? I don’t think so! As I studied the life of Sarah, I found she’s a lot like me. Neither of us are natural waiters. It took a lot of years for her to learn to wait, to learn what it means to live on God’s timetable. It was thirty years from when God first promised Abraham would bear a son to the birth of Isaac. You know Sarah had been trying to have a baby for years, maybe decades, previously. That is one long wait. However, by studying her life and her mistakes as well as her victories, I realized despite the failures, God did something in her during the long wait that I want too. He made her a blessing for the whole world, both in her own time and ever since. I want that. I want to see what she saw and be changed as she was changed. I want the promises of God to be fulfilled in me, like they were in Sarah, no matter how much she messed up. I want that kind of transformation in the wait, and I think only Sarah can lead me there. Q: Can you give us one tip for waiting well you learned through Sarah’s journey? I learned the key to waiting well is turning to God not only in faith, but also in frustration, fear, anger and every other emotion that comes up as we wait while God does not seem to move or do what we want Him to do. It’s not in mustering up the right words or persona of faithfulness that makes us wait well. It’s in engaging with Him, encountering Him when we’re mad, disappointed, desperate or despairing that allows for deep, significant change. Waiting well is something God does in us, not something we muster up for ourselves. In the wait, God takes the very things that cause us the most pain and shame and transforms them for His glory, in His time. Q: Sarah was known for her barrenness — the source of all her shame — yet that is the exact thing God used to change the world. Does God still take the marks of our shame and make them into the signs of His purposes? Yes, this is still God’s specialty: to take the places of our deepest shame, our deepest pain, and transform them into the very thing that brings hope to a hurting world and glory to the Kingdom of God. I see it over and over again, from the mother of a murderer whose son died in prison — her deepest pain, her deepest shame — who now has become the well of love and compassion from which she draws in her ministry to prisoners. From her pain, beautiful hope has sprung. I see it in another friend who was a teen mom and told her life would basically be over if she had her baby. Well, she did, and God has not only given her an amazing son who is now grown, but she uses her experience to give hope to pregnant teens and has made a real difference in the lives of those moms and their babies. I could go on and on and on because this is what God does. This is the very heart of Jesus. He is the One who could transform the most horrific symbol of death and hopeless of His day — the Roman cross of execution — into what it is today — a symbol of hope and eternal salvation. He can and will do that same thing in our lives. It’s who God is. It’s what He does. Q: What advice can you offer for when we don’t wait well and mess up by trying to take matters into our own hands? Like when Sarah got tired of waiting for God to fulfill his promise for a son and gave her maidservant Hagar to her husband? That was a disaster! How about when she mistreated that same maidservant so badly the girl ran away? Waiting can certainly bring out the worst in us! Waiting can also be very hard on relationships. I discovered something strange when studying Sarah’s story. In Genesis 16, Sarai gives up, blames God and gives Hagar to Abram. Hagar gets pregnant, Sarai mistreats her, and the chapter ends with Hagar bearing a son for Abram. Not for Sarai, for Abram. It ends with the consequences of Sarai’s least-finest hour, on the heels of her lost righteousness and her lost hope. Sarai was excluded, barren and had no cards left to play. Then chapter 17 opens, but it doesn’t open with a reminder of Sarai’s failure or with scorn or shame. Instead, the very next scene begins with God’s revealing a name for Himself that is filled with amazing hope. God gives Sarai a new name too, Sarah. I find this breathtaking: God follows up Sarai’s disgrace not with blame, but with blessing. That means He follows up our failures with grace and blessing too. So what do we do when we don’t wait well, and then we fail? We ask God to restore what we’ve broken, and we trust Him to do it . . . in His timing. Q: What encouragement do you have for the person who feels trapped by the dusty dryness of waiting and is struggling to see God? I have found that it is in the driest places of life, the places where we see God the least, that He is working most intimately in our lives. Those very places where we’re sure He’s absent is where He’s doing His deepest work in us. That’s why waiting is important; the deep work is often done there and done where we can’t see it or feel it at all. For the person trapped in that dusty dryness, I say, “Hang on.” If Sarah and her long waiting in the deserts of Canaan tell me anything it’s that waiting holds a secret. We think nothing’s happening in the long wait, but the secret is: Waiting sets the stage for joy. Joy is the whole purpose of waiting. Psalm 30 tells us that weeping may last for the night, and it may be a very long night, but joy comes in the morning. So hang on; joy is coming. Q: What surprises you most about waiting, now that you’ve walked through Sarah’s journey and much of your own? The true purpose of waiting has surprised me the most. I had assumed God makes us wait to refine us, to help us trust him, to grow us. But here’s the shocker when you walk with Sarah: You discover the real purpose of waiting is to birth laughter, to embrace joy. Can you imagine that? We writhe with impatience, frustration and the pain of waiting. . . . However, the purpose isn’t punishment or to learn perseverance; it’s to produce joy! Real, true, lasting joy in us. That’s what blesses the whole world. For me, that’s changed everything. Waiting is not the monster it pretends to be. Sarah’s journey has revealed the secret that waiting hides. Like a tumbler that polishes stone, waiting is supposed to produce beauty. It is the vehicle for the wonder of God. It’s like where I expected to find an enemy, I found a friend. Waiting has become an unexpected friend. Learn more about Marlo Schalesky and Waiting on Wonder by visiting www.VividGod.com, following her on Facebook (MarloSchalesky) or via Twitter (@marloschalesky).